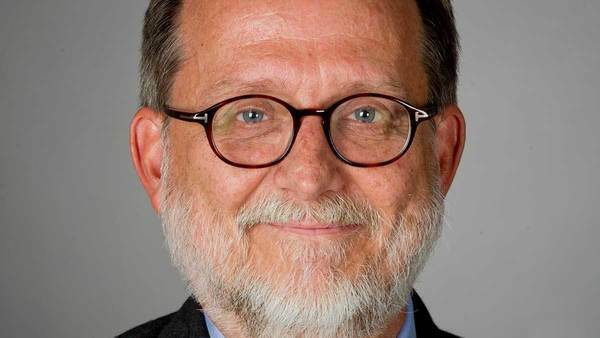 Thomas Tweed, a historian committed to improving public understanding of religions, has been appointed founding director of the Rafat and Zoreen Ansari Institute for Global Engagement with Religion at the University of Notre Dame’s Keough School of Global Affairs, effective July 1. Tweed came to Notre Dame in 2013 as the Harold and Martha Welch Professor of American Studies and professor of history, roles he will retain. He is the former president of the American Academy of Religion, the largest society for scholars of religion in the world, and has also served on the international advisory board for Notre Dame’s Tantur Ecumenical Institute in Jerusalem. A widely published scholar with a longstanding interest in ecumenical and interreligious engagement, Tweed earned doctorate and master’s degrees in religious studies from Stanford University and a master’s degree in theological studies from Harvard University. The Ansari Institute is dedicated to the study of religion around the world and will be a center of public deliberation and education through research, teaching, outreach and interaction with religious communities worldwide. Ansari Institute faculty will study how religious teachings and practice inform the shifting patterns of global migration, conflict and peacebuilding, political culture, and human development. Scheduled to open in fall 2018, the Ansari Institute was established from a gift by South Bend physicians and Muslim philanthropists Rafat and Zoreen Ansari. Their gift was highlighted in this New York Times story. Tweed’s research especially aligns with the mission of the Ansari Institute in focusing on the ways that global flows of migrants and religions have shaped modern social, cultural and political life. His public service has included advising high school teachers on how to include Islam and Buddhism in the curriculum; collaborating with a newspaper on covering religion and religious issues; writing an invited article for physicians about religion and healing; and consulting with the Directors of Chaplaincy for State and Federal Prisons on how to accommodate prisoners’ diverse spiritual needs. Tweed’s most notable books include “Crossing and Dwelling: A Theory of Religion” (Harvard University Press, 2006), which is used in college classrooms; “Asian Religions in America” (Oxford University Press, 1999), named an outstanding academic book by Choice magazine; and “Our Lady of the Exile: Diasporic Religion at a Cuban Catholic Shrine in Miami” (Oxford University Press, 1997), which won the American Academy of Religion’s book award. Tweed is a faculty fellow of the Notre Dame Institute for Advanced Study, the Notre Dame Institute for Latino Studies, the Liu Institute for Asia and Asian Studies and the Kroc Institute for International Peace Studies. Originally published by Christine Cox at news.nd.edu on June 07, 2018.